I’ve just started using HubSpot. 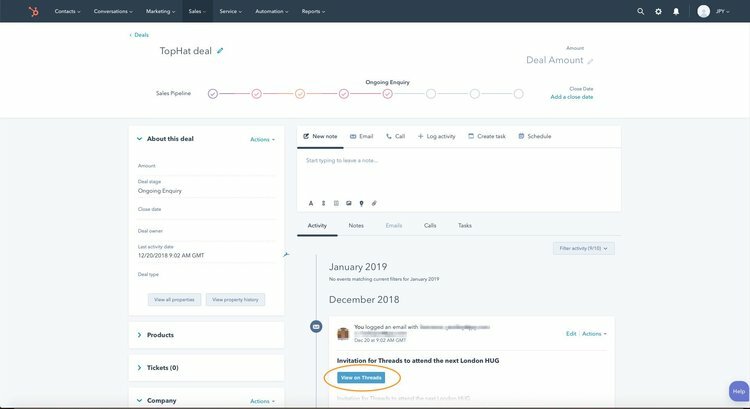 Is there a way to import or add prior emails to HubSpot? You can manually forward previously sent emails to HubSpot using your forwarding address. This will associate the email with your contact record. You can find your forwarding address under Settings. 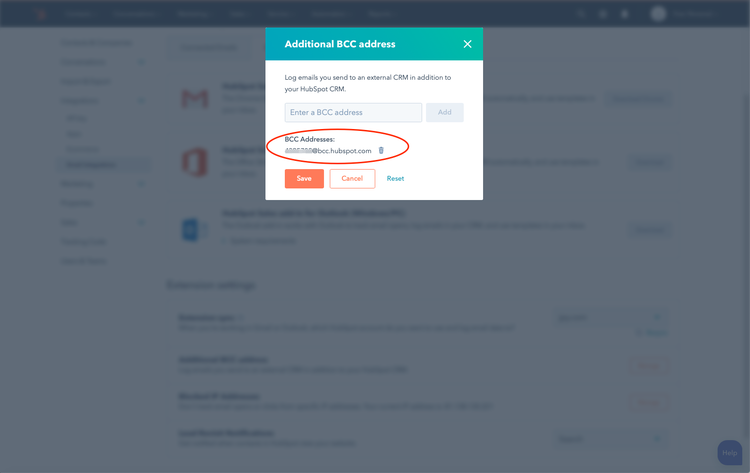 Note that you will not be able to forward emails in a bulk or automated way using this method. If you want to bulk import emails into HubSpot then using an integration tool, such as Threads is your best bet. It works with any email client (including Gmail, Outlook and Apple Mail) and will automatically scan your email inbox and log copies of any emails sent or received with your contacts. You can also use it to log new interactions. Each interaction is added as an individual moment on your contact’s timeline making it easy to search.